We are Ubios, the simple modular smart home solution. We reduce up to 80% of water damage risks in condos! We are Ubios, the simple modular smart home solution. The smart home may be able to keep you warm but we believe it should keep you dry! We can reduce up to 80% of water damage risk in condos and towers across the country. We offer peace of mind, security and real savings on both heating and insurance. 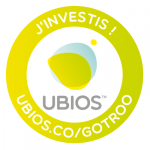 On January 24th at 6 pm, Ubios will launch the first Equity Crowdfunding in North America. Seize this unique opportunity! Build with us the future of the smart home and put an end to the nightmare of both homeowners AND their insurance companies. 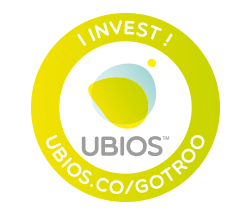 Pledge now on ubios.co/invest ! Water damage can happen to anyone at any time. As a matter of fact, it accounts for over 50% of insurance claims and more than 50% of your home insurance premium. Each year, in Canada alone, water damage results in over $ 2 billion in insurance claims. It’s more than fire, theft and vandalism combined. Are your insurance costs exploding? You are not alone. Far from it! Over the last 10 years, the cost of claims has increased by 130%; while deductibles have increased by 600% in the past 5 years. Of all types of housing, one is particularly threatened: condo towers and apartments. As a matter of fact, 95% of claims filed and over 60% of claims paid are water-related. In a residential tower, water damage in one apartment quickly becomes water damage in several apartements, resulting in costs that can exceed hundreds of thousands of dollars. During a long-term absence -for work or holidays -, it may take several days before a leak is noticed by someone living below ... and by then, it is already too late! Water never takes holidays! To reduce costs, avoid stressful damage and make our homes healthier and more durable, we must do something. The best way to avoid water damage is to shut off the water at the source. Easier said than done, and above all, not practical at all, given that the main water shutoff valve is often poorly located and sometimes hard to reach. Yet this is what your insurance company recommends, when you leave the house. Here’s what Ubios proposes : imagine a smart water shutoff valve that shuts off water in your absence and turns it on again upon your return. Futhermore, as soon as an abnormal leak is detected, your main water shutoff valve is turned off and you are immediately notified. Finally, a network of strategically-placed sensors detect leaks and water infiltration, otherwise difficult to notice. No more nightmarish visions waiting for you at home upon your return. Ubios prevents up to 80% of water damage risks; the first ever solution to prevent both their occurrence and their impact. To do so, we have developed a smart wall unit that replaces your electric baseboard thermostat or light switch. This wall unit can detect human presence but can also control the heating as well as the alarm system. Your home becomes a real smart ecosystem. No need for major house repairs; a system easy to install in existing and new buildings. Each element of the Ubios solution works on the existing electricity grid, thus eliminating the need for tedious and polluting battery replacement. In case of power failure, our systems are equipped with autorechargeable batteries to ensure 24/7 protection. In addition to reducing the risks and providing you with better control, Ubios’ also offers a substantial way of saving money. First, you can save up to 25% on heating costs with our smart and automated thermostat control system. But you can also save up to 25% on insurance premiums, which is by far the best rebate by the industry’s standards for water damage prevention devices. No more insurance premium rise. 25% energy and insurance savings. Now THAT’s some good news for your wallet. Our goal is to provide you with peace of mind, comfort and safety at a lower monthly cost than the savings Ubios allows you to achieve. Ubios was born in July 2014. Today, we are convinced that we have found our place in a market overflooded with gadgets. In the upcoming months, we will continue to target a clientele composed of condo dwellers and multi-unit property syndicates - both of which are the most affected by water damage and constantly rising insurance costs. This will allow us to achieve sales in dozens of residences at once, which will translate into several hundreds of thousands of dollars in revenues. In 2016, we will also develop our products and solutions in order to conduct a public launch in 2017 and make our offer available to all types of housing. Ubios is a solution provided as a monthly service. 3 levels of service are offered. Since water damage do not make a distinction between the people they affect, Ubios must be accessible to all budgets. Ubios customers get upgradable and extensible cutting-edge technology. Not a gadget that will become obsolete in 2 years. Our goal is to provide you with peace of mind, comfort and safety, at a lower monthly cost than the savings Ubios allows you to achieve. With members cumulating at least 15 years of extensive entrepreneurial experience, and with 8 patents under our belts, Ubios is ready to make it big. Our chief engineer has designed the first electronic thermostats for electric baseboards, and has worked over 11 years at Honeywell. In September 2015, we announced a partnership with a renowned investor: Quebecor. The multi-billion company will thus make its first investment ever in a start-up with Ubios. During the past few months, more than 15 property owners and partners, representing over 30 000 housing units, have manifested - written and signed - their intention of purchasing our solution. Want to be among our financial partners? It is now possible! Every investor will receive, for Earth Day, the Ubios tree, symbol of our future growth together. These trees will be sent to all of our investors planted in a re-usable coffee mug. The GoTroo funding portal is not registered as a broker under Canadian securities legislation but benefits from the Start-up crowdfunding registration exemption. GoTroo does not provide any advice about the suitability of eligible securities or the merits of the investment.